Planted from seed collected from Wilmington, NC in 1986. Now in 2002 it is 14' tall. 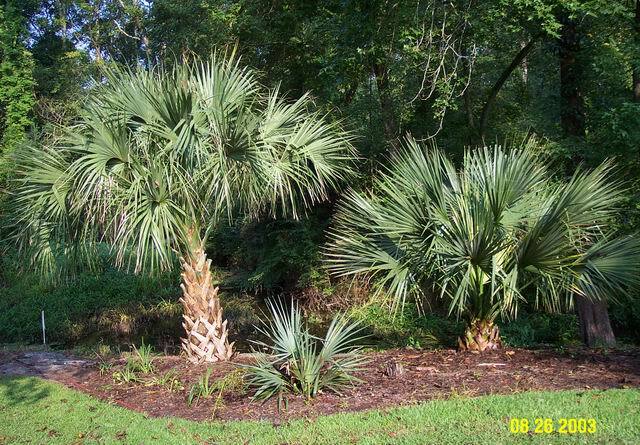 (Left) Sabal Palmetto - Florida transplant two years after planting hurricane cut. These are marginally hardy here until they have fully recovered, which can take three years or more. 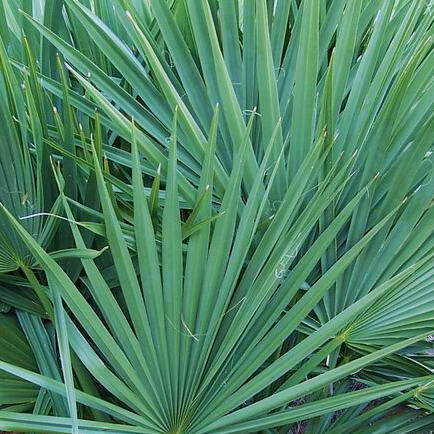 (Right) Sabal Palmetto grown from seed planted in late 80's. 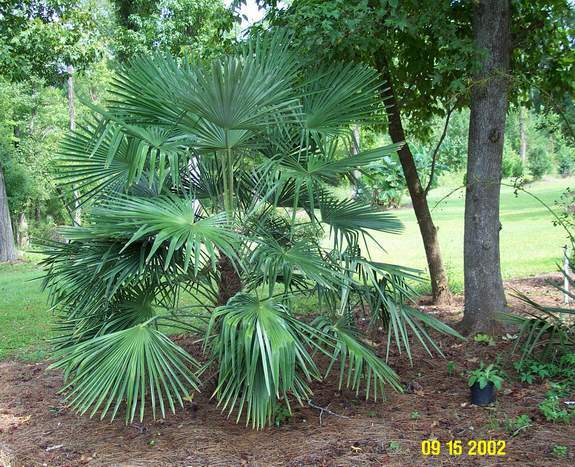 (Left)Sabal minor - Dwarf Palmetto - Aurora NC seed source. 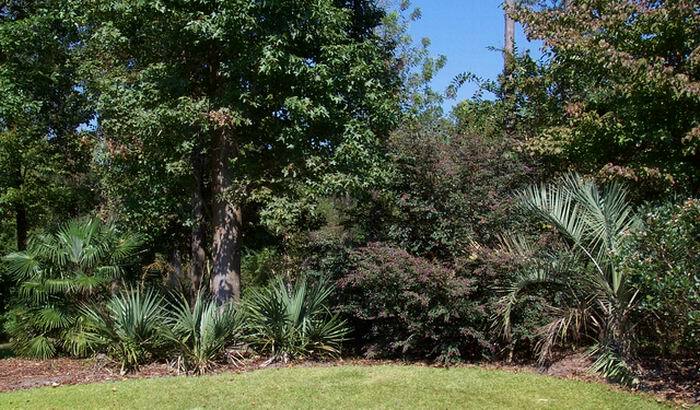 (Right)Butia capitata planted in 2000. 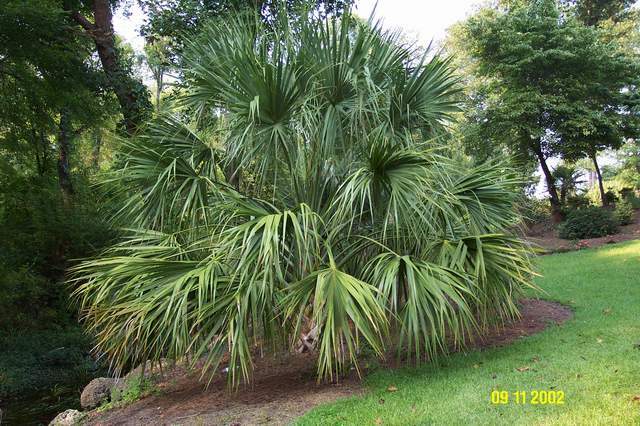 Left: Sabal palmetto grown from seed from very tall palmetto at old city hall in Wilmington. Seed planted 1986. Planted here from 5 gallon pot in 1991. Right: Sabal 'birmingham'. Purchased as a two year old seedling from Woodlanders in 1986. Planted here from 5 gallon pot in 1991.